A unqiue copper core that will make your sound gold. 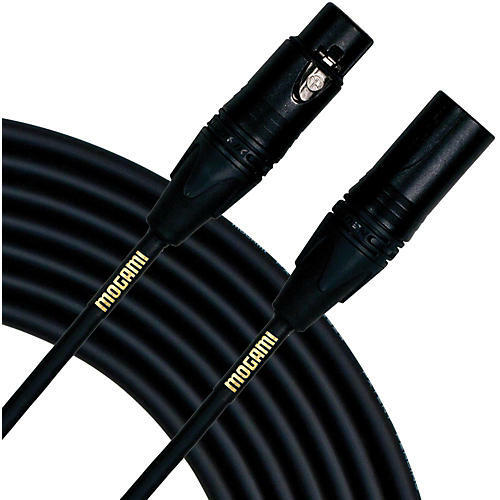 Mogami Gold Stage Heavy Duty Mic Cable with Neutrik XLR Connectors is an ultra-rugged, "roadie proof" cable offering killer sound for active stage performers. Separating Mogami Gold Stage from other cable brands is unique cable cores with three times the number of copper strands compared to a typical high quality cable. The higher the stranding the less likely the cable is to break when handled. Two of these 105 strand cores are covered with a comprehensive full-coverage braided shield. This forms the basis of a nearly indestructible, yet highly flexible cable that offers transparency and accuracy unequalled by other brands.